Imagine getting pulled over by a Porsche 911 police car. Supercars being converted into police cars to catch fleeing speedsters are becoming a surprisingly common sight. In Italy, there’s a chance you’ll get pulled over by a Lamborghini Huracan or Ferrari 458 Spider with blue flashing lights. Dubai has an insane Bugatti Veyron cop car. Even the Isle of Man has a police-spec BAC Mono patrolling the streets. And now a Porsche 911 Carrera has joined Austria’s police force. The Austrian Federal Ministry was handed the keys to the German sports car donning the force’s blue, silver and red livery. Fitted with obligatory flashing lights and a radio, this Porsche 911 Carrera will be patrolling all of Austria's highways. According to Konrad Kogler, Austria's General Director for Public Security, the Porsche 911 police car will be used to “demonstrate that you can drive responsibly and carefully even in a powerful sports car.” While that may sound ironic, Austria has a surprisingly long history when it comes to Porsche police cars. Back in the 1960s and ‘70s, the force used Porsche 911Targas, and a Porsche 911 was used in 2006 for motorway policing. The Carrera cop car is only on loan from Porsche until October, however. “The Porsche 911 has long been emblematic of powerful sports cars that offer a high level of everyday practicality, particularly when it comes to safety as well as comfort over long distances – both crucial aspects for the police when they are patrolling the motorways,” said Dr Helmut Eggert, Director of the Porsche sports car brand in Austria during the handover. 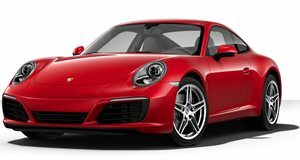 Powered by a 3.0-liter flat six engine that produces 365-hp, the Porsche 911 Carrera can sprint from 0-62 mph in just 4.4 seconds, so good luck trying to outrun it.